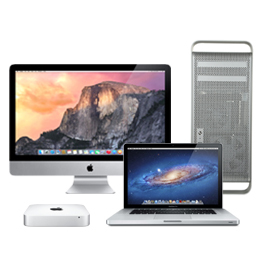 At Hardware Associates we offer a wide range of refurbished Apple products including; iMacs, iPads, Mac Minis, Mac Pro and MacBook Pros. 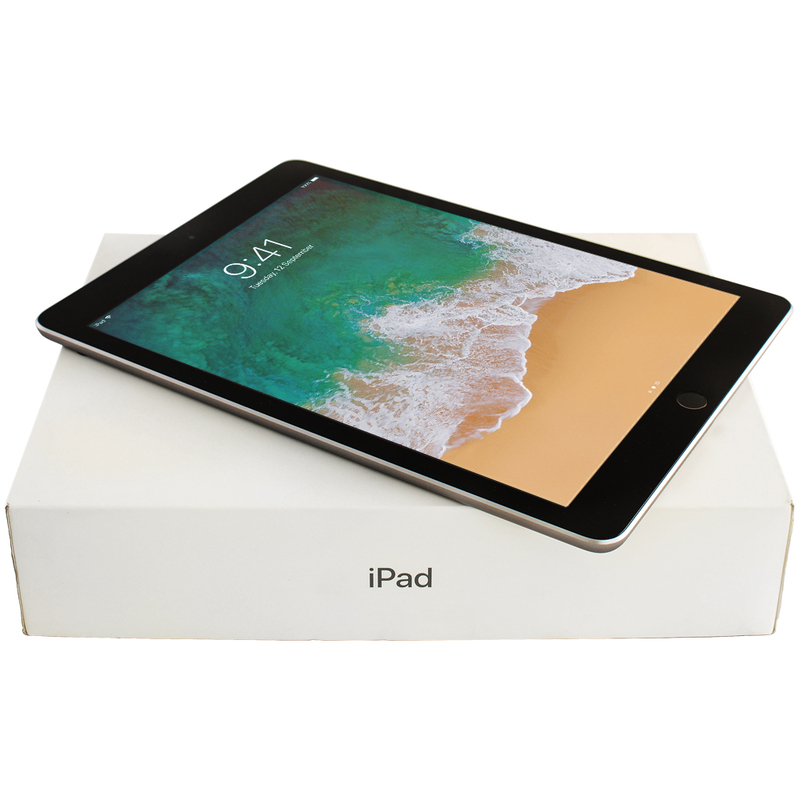 Not only is this a cheaper way to buy the highly desirable Apple system but also every product purchased from Hardware Associates comes with a minimum of one year’s warranty and our Q20 Promise. 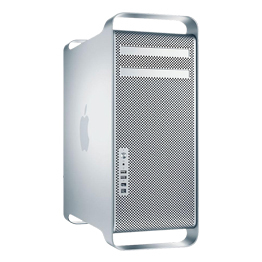 At Hardware Associates we deliver outstanding, refurbished Apple computers that enable you to keep on top of all your technology needs while making savings. 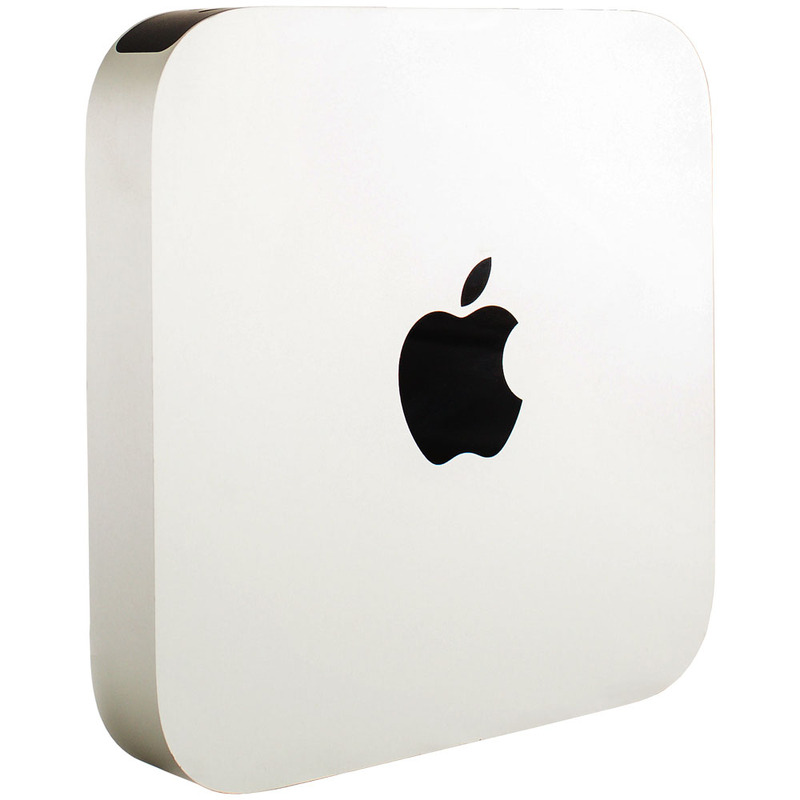 Apple Inc has long been a sign of quality and their models refurbished by our team will still meet all of your performance requirements, such as speed and functionality. Their range of iMacs and Macbook Pros are favourites of design professionals and have incredibly clear monitor displays, some using their patented Retina display technology. As iPhones and iPads sync with Apple computers, it can be a very useful choice should you already own an Apple product. Design features such as the intuitive touchpad and durable keyboards also make all of the available models popular choices across a range of industries, and for leisure home use. You can also guarantee that your refurbished model and its software will be supported for some time to come, especially if it is currently only two to three years old. What fixes will have been made? Details are available for each individual product as our technicians created detailed documentation of the refurbishment work for each computer or laptop. It could be anything as small as a cosmetic fix to an in-depth repair where the machine has been taken apart to diagnose and find a solution. No matter the scale of the refurbishment, all of our stock is in perfect working condition and ready for you to use. If it has been ‘fully refurbished’, it will be covered with our Q20 Promise one year warranty. 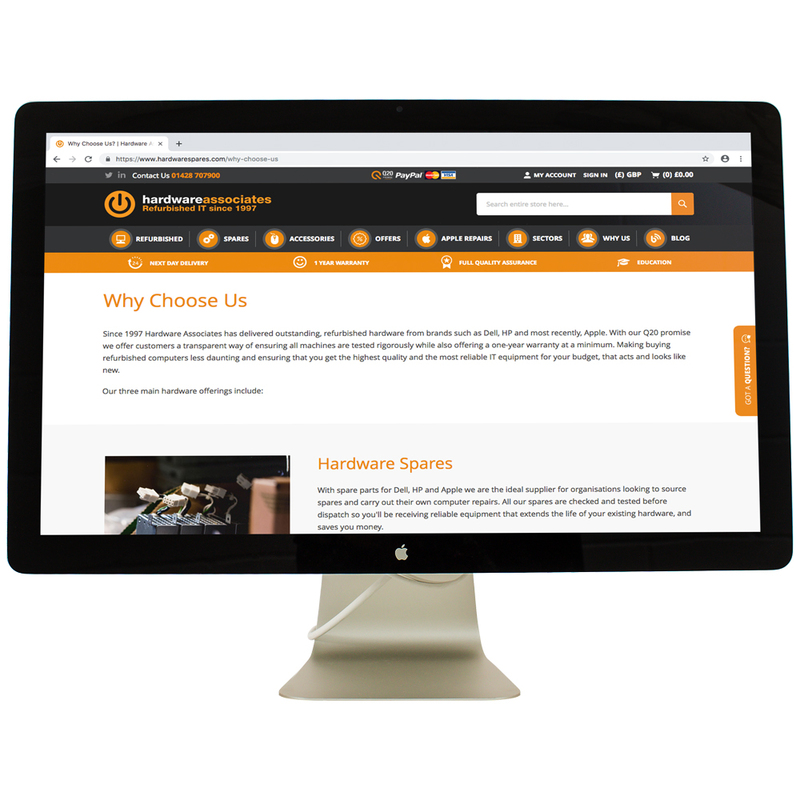 Browse our range of Apple laptops and computers and get in touch if you have any questions relating to spec or availability. 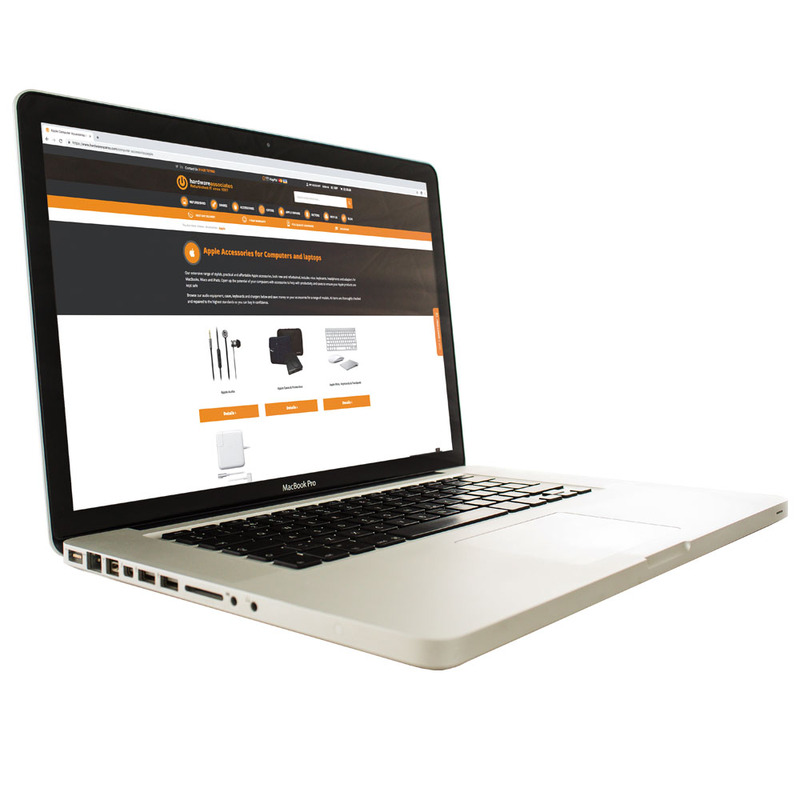 Once purchased, you can further enhance your machine by upgrading it with Apple spare parts. 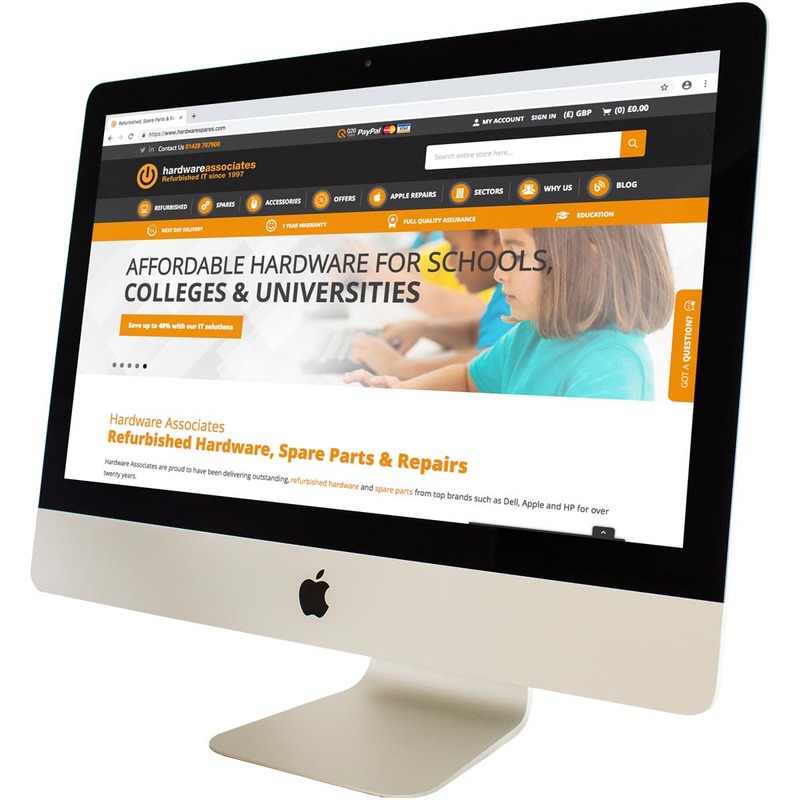 Call us on 01428 707900 or email sales@hardwarespares.com and we will get back to you as soon as possible.